The first judge on Canada's Got Talent was announced this morning. 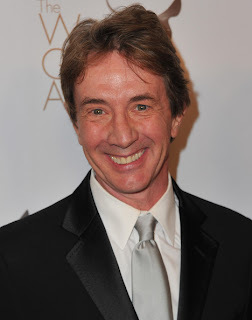 And the lucky sudo-celeb is....Martin Short. Remember him? I think the last thing I saw him in was Santa Clause 3...horrific. I only really remember him in Father of the Bride (which he played an annoying yet brilliantly placed supporting character) and Clifford...which pissed me off, even as an 8 year old. So I am not exactly thrilled with this choice. I am still on team Dan Levy. There are still at least 2 more spots...so here's hoping!